Partners Albania is a member of Partners Global, a partnership of 22 independent, local organizations in Europe, the Americas, Africa and the Middle East working for peaceful and democratic change. 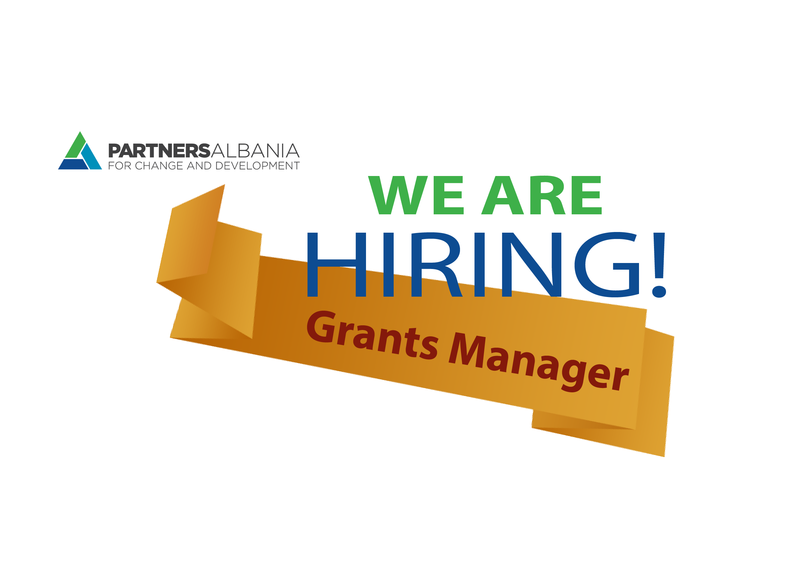 Partners Albania is seeking a Grants Manager who will be responsible for the financial and sub-contract management of grants under PA projects. S/He will be responsible to conduct grants orientation activities for interested organizations; manage grants selection processes in full compliance with donor and Partners Albania rules and procedures; monitor implementation of grant activities; provide technical support to grant recipients, as well as responsible for key aspects of project cycle management, including: needs assessments in sectors targeted by the Civil Society program, project proposal development, project management, outreach, reporting and coordination. The Grants Manager should carry out the responsibilities described below independently, with minimum supervision, but also in the context of a professional project team. Take overall responsibility for project’s grants management and project’s administration working closely with the Director of Programs. Partners Albania will contact only those applicants who will be invited for interviews or to request additional information. Partners Albania embraces diversity in its hiring, welcoming individuals of all religions, ethnicity, gender, and orientation to apply.